Mother’s Day Is On The Way!!! Homepage Fundraiser Mother's Day Is On The Way!!! 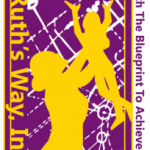 Shop at smile.amazon.com and Amazon will donate to Ruth’s Way, Inc.! Just click on the link below for GREAT Mother’s Day gift ideas! Congratulations Jasmine on winning the Irene O. Bartko Award for your perseverance and determination in your journey of achieving self-sufficiency!!! !